If you’ve got kids, this is a GREAT investment! You can get a one year subscription to National Geographic Kids Magazine for just $10! That’s just $1 per issue! We started out getting National Geographic Little Kids when my kids were younger and for the past year, we have been getting National Geographic Kids and my kids love it! Our latest issue just arrived yesterday and my daughter was poring over it and cracking me up sharing facts on everything from animals to Buckingham Palace! Enter the code NG2KIDS at check-out to save $2, which brings your total to $10 for the year! This offer is valid through August 6, 2013. Mamasource has a hot deal for your kids today! 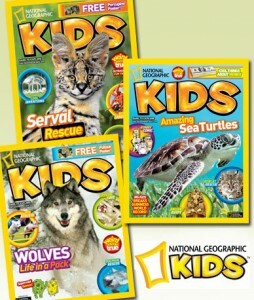 Get a National Geographic Kids Magazine subscription for just $10 per year! The regular retail price is $49, so this is an awesome deal! We’ve been subscribing to this magazine for awhile now and my kids LOVE it when it comes in the mail! It’s full of great color pictures, articles, and activities! I just took advantage of this deal and renewed our subscription! Make sure you enter the code NGK2OFF to get $2 off, which brings your total to $10. This subscription includes 10 issues per year and is valid for new, renewal, and gift subscriptions. Limit one per household. You may purchase 2 more as gifts! Your subscription will begin arriving in 4-6 weeks! Grilling season is here and Mamapedia has an AWESOME deal today to get you ready! Get an Omaha Steaks Package for as low as $54 shipped! This is a $166 value! If you are new to Mamapedia, use the code MAY10 at check-out to get 10% off, which makes your total just $54 shipped! If you are not new to Mamapedia, you can still get this awesome package for just $60! I can’t wait to get mine! 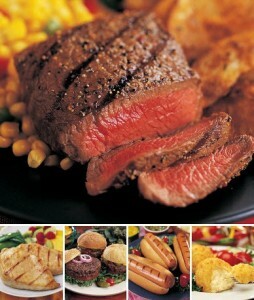 We LOVE Omaha steaks! 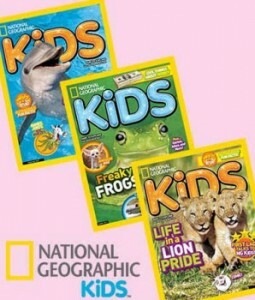 Right now Mamapedia has a HOT deal – you can get a one year subscription to National Geographic Little Kids for $10. But..it gets better! If you are one of the first 1,000 to purchase the magazine, you can enter the code NATGEO3 and get $3 off instantly. So, a one year subscription would be just $7. If you are using Mamapedia for the first time, you can get a one year subscription for just $5 when you enter the code FRIENDS5 at check-out. If you are not one of the first 1,000 to buy the magazine, you can still get 10% off if you enter the code EASTER10 at check-out. So, it would only be $9! I ordered this magazine for my kids and I think they’re going to love it!